PUNE, INDIA, September 27, 2017 /EINPresswire.com/ — Pune, India, 27th September 2017: WiseGuyReports announced addition of new report, titled “Global Foodservice Equipment Market: Industry Analysis & Outlook (2017-2021)”. The analysts forecast the sauces, dressings, and condiments market in the US to grow at a CAGR of 2.84% during the period 2017-2021. The report covers the present scenario and the growth prospects of the sauces, dressings, and condiments market in the US for 2017-2021. To calculate the market size, the report considers the revenue generated from the sales of sauces, dressings, and condiments in the US sold to individual customers as well as foodservice customers through various retail outlets, including but not limited to hypermarkets, supermarkets, convenience stores, independent retailers, discount stores, warehouse clubs, and online channel. The report, Sauces, Dressings, and Condiments Market in the US 2017-2021, has been prepared based on an in-depth market analysis with inputs from industry experts. The report covers the market landscape and its growth prospects over the coming years. The report also includes a discussion of the key vendors operating in this market. 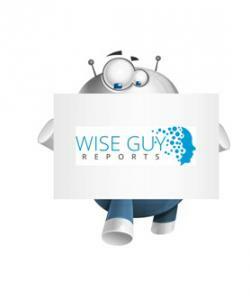 Wiseguyreports.Com Publish New Market Research Report On-“Induction Cookware 2017 Global Market Expected to Grow at CAGR Of 6.19% and Forecast to 2021”. The analysts forecast the global induction cookware market to grow at a CAGR of 6.19% during the period 2017-2021. The report covers the present scenario and the growth prospects of the global induction cookware market for 2017-2021. To calculate the market size, the report considers the sales by value and excludes replacement/ spares/ services market. The report, Global Induction Cookware Market 2017-2021, has been prepared based on an in-depth market analysis with inputs from industry experts. The report covers the market landscape and its growth prospects over the coming years. The report also includes a discussion of the key vendors operating in this market. LENOX, MA, USA, September 21, 2017 /EINPresswire.com/ — As of mid October, Eastover Estate & Retreat and Berkshire Community College will be offering a range of wellness classes to the Berkshire community-at-large at discounted rates, and to its in-house guests free of charge. 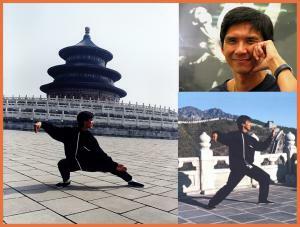 Each class is taught by highly skilled professionals in their respective fields of: Nutrition, Healing Arts, Qigong, Taichi, Chinese Calligraphy, Chinese Brush Painting, Kung Fu, Acupressure and more. 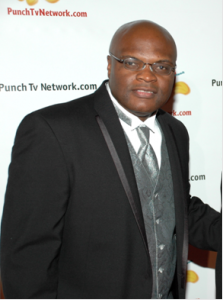 Renowned Qigong and Taichi instuctor, *Terence Dunn, who created the all time bestselling "Tai Chi for Health" DVD series, was the first Taichi trainer in the NBA (training the Los Angeles Lakers during their second championship season), and who wrote the first ever medical protocol in American medical history on applying therapeutic Taichi & Qigong to accelerate recovery from major surgery, will be *Eastover's Master in Residence as well, providing expert Martial Arts training from October to December. EASTOVER is A 600-Acre sanctuary and residential holistic retreat center with sun-drenched café, juice bar, library, meeting rooms, porch, terrace, affordable out buildings and luxury bedrooms in the mansion, centrally located in the cultural hub of the Berkshires, minutes from Tanglewood, Norman Rockwell Museum, & many other cultural venues, An ideal location for teachers, groups, organizations and companies seeking retreat and training. It is dedicated to facilitate retreat and training groups, offers spacious program studio facilities including commercial kitchens for cooking classes. Wide range of overnight accommodations that fits everyone’s budget, from rustic, to contemporary, to luxurious. Located just walking distance from the Mansion is our newly renovated, multi-purpose entertainment venue known as Tally Ho, an iconic gathering place loved for decades by people from the Berkshires and beyond. Tally Ho offers the largest indoor space in Berkshire County, with over 9,000 sq. ft. suitable for receptions, conferences, weddings, lectures, workshops, performances and events of all kinds. This report studies Natural Gas Liquids (NGLs) in Global market, especially in North America, China, Europe, Southeast Asia, Japan and India, with production, revenue, consumption, import and export in these regions, from 2012 to 2016, and forecast to 2022. 1.3.4 Others (Lubricants, Synthetic Waxes, and Chemical Feedstocks). 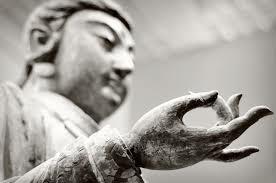 7.7 Yitai Yili Energy Co.
A common misconception is that only couple with relationship issues should go to counseling. LOS ANGELES, CA, UNITED STATES, September 16, 2017 /EINPresswire.com/ — The truth is counseling can help any couple, even two people who already have a strong relationship said Jessica McIntyre, a counselor and psychotherapist in LA. "The old saying 'there is always room for improvement' is true everywhere even in rock-solid relationships," she said. "You have a great relationship now. It can be better. If your life is great now, imagine what it could be like if you take it to the next level." Ms. McIntyre offered several ways in which therapy can help a couple become stronger and closer. This is more than just appreciating the other person, Ms. McIntyre said. It's about appreciating everything and doing it together. "The next time we get a gentle rain, the two of you should go out and stand in the rain. Feel the rain and know it is bringing life with it. It may sound silly, just try it. Stand out there and wrap your arms around each other," she said. "You don't have to be out there very long. The added benefit is when you come inside, you get to help each other take off the wet clothes." Find something that you like to do. Find a class that teaches how to improve those skills. Take the class together. "Everyone I know eats," Ms. McIntyre said. "Cooking classes are great. The bonus there is you get to eat what you cooked." "Counseling helps people learn how to better control their reactions and emotions," Ms. McIntyre said. "It's not just negative emotions like anger that may need controlling. Counseling also helps you to understand what your partner is going through, good and bad, and how to help them get through it faster." * As a certified counselor, Ms. McIntyre has worked with hundreds of couples. She brings all that experience and expertise to every counseling session. Everyone can learn something new, she said, and everyone can learn from what other people have gone through. For more information visit www.jessicamcintyre.com or call (310) 477-5188. 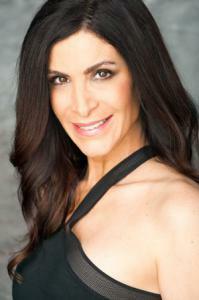 ABOUT JESSICA MCINTYRE – The Los Angeles therapy practice is dedicated to being that caring professional. I have helped those who feel they have lost their way or lost their professional edge and simply need the support of a knowledgeable therapist who first relates by careful listening and then helps with the applicable counseling. This interaction specifically enhances impact reduction of irritating trigger events that underlie emotional problems. Success in this goal is usually indicated by the minimization and then reversal of the accompanying helplessness, confusion or low self-esteem that seems to be prevalent here in Los Angeles! Jessica McIntyre, M.A., M.F.T., C,Ht. PUNE, INDIA, September 14, 2017 /EINPresswire.com/ — The report provides a comprehensive analysis of the Commercial Electric Cooking Equipment industry market by types, applications, players and regions. This report also displays the production, Consumption, revenue, Gross margin, Cost, Gross, market share, CAGR, and Market influencing factors of the Commercial Electric Cooking Equipment industry in USA, EU, China,India, Japan and other regions, and forecast to 2022, from 2017. Punch TV is here with yet another breathtaking reality TV show that will keep you on the edge of your seat. 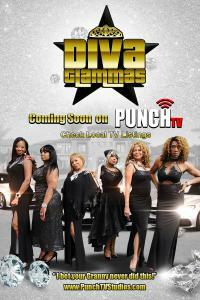 HOLLYWOOD, CA, UNITED STATES, September 13, 2017 /EINPresswire.com/ — Award winning TV network, Punch TV, a division of Punch TV Studios, is proud to announce a new reality TV show coming soon that sheds light on the life of 6 Glammas (Glamorous Mothers), who are now Grandmas, and some who are Great Grandmothers titled "Diva Glammas”. This new hit reality show, produced by Punch TV Studios, gives viewers an insight as to how these ladies combine being mothers with adult children, and grandmothers with responsibilities, all while they live the lives they always dreamed of.